KillerStartups > Startup Tools & Guides > Fee-based Startup Communities… Where? Strawberry daiquiris, sandy beaches, sunset from a cruise ship balcony. For a change, I’m not daydreaming about either a past or an imminent vacation. Instead, I’m trying to picture the setting for some of the newer alternative startup accelerators. Accelerators that participants pay to attend. These hybrids of business incubator and mainland escape are starting to ring more phones–those of both venture capitalists and travel agents. 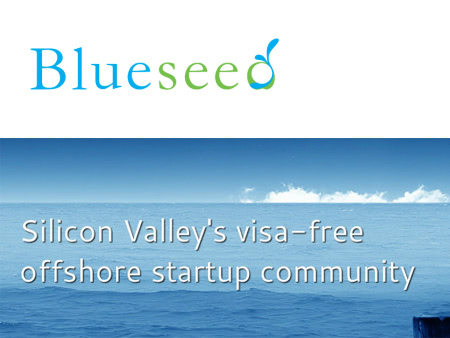 Blueseed is a startup incubator located…somewhere in the Pacific Ocean. Companies participating in this accelerator will stay on a retooled cruise ship, stationed in international waters approximately twelve nautical miles off the coast from San Francisco. Sound insane? One early backer is venture capitalist and PayPal co-founder Peter Thiel. On board, entrepreneurs will find office spaces and pitch opportunities like at more traditional accelerators. Successful ventures will share a 6.5 percent equity stake with Blueseed. Participants will also pay at least $1, 600/mo to live and work on the ship. The Blueseed project is still in the harbor for the moment, but plans to ship out in 2013. The hope is to attract entrepreneurs from all over the world who want foster connections with Silicon Valley without any need for a US work visa. Over 850 entrepreneurs from over 50 countries have already explored having their startup set sail with Blueseed. The team behind Blueseed can appreciate international opportunity firsthand. In addition to their business qualifications, CEO Max Marty is the son of two Cuban immigrants; President Dario Mutabdzija has studied or worked in China, Austria and Bosnia; CIO Dan Dascalescu is a seasteading ambassador. 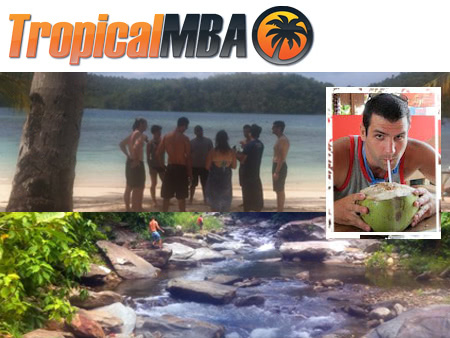 Tropical MBA offers a startup bootcamp near Puerto Galera in the Philippines. The schedule includes two weeks of mentorship and two weeks of resort unwinding and socializing. Tropical MBA charges for instruction but does not ask for an equity stake. Co-founder Dan Andrews deems the island offering as “more like a seminar or conference,” than traditional incubator. To date, 14 attendees have paid close to $2000 for the program run by Andrews and Ian Schoen. July and August sessions have already sold out. Tropical MBA might cater to entrepreneurs hoping to combine travel and work, trying to explore geographic freedom, or looking to work and live near Bali. Blueseed and Tropical MBA join the likes of Founder Institute and Lean Startup Machine offering alternative entrepreneurial support. With top tier accelerators like Y Combinator and TechStars (the incubator equivalent of Ivy League schools) becoming increasingly difficult to crack, more young companies might start investigating different ways to find a boost. A tough economy might also drive entrepreneurs to consider fee charging accelerators, as tackling personal pursuits becomes the best available option. Unusual blends of business and pleasure surely aren’t for everyone. Still, for those looking for a startup community with an unorthodox design or exotic setting, options like Blueseed and Tropical MBA might keep a valid passport on the startup checklist.